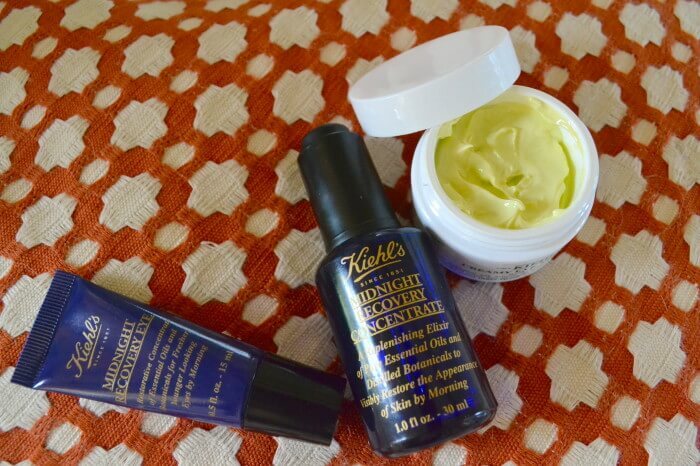 I have had my eyes on a the Midnight Recovery line by Kiehl’s for months, and was lucky enough to come across a Kiehl’s store in the Boston airport over Mothers Day weekend and snagged both the eye “serum” (which is the consistency of a cream) as well as the face serum. I was in need of a new overnight eye cream that packed a moisture-punch, and had heard nothing but rave reviews about the creamy eye treatment with avocado, so of course I picked one of those up too. When in rome, am I right ladies? Plus, it was Mothers Day weekend, so it’s not like my husband was saying no. I’ve talked about my skin a few times in the past, but let me tell you a bit more about my pregnancy skin…it’s hell, in a nutshell. My skin becomes even more dehydrated than usual, and I get acne like a pizza eating 14 year old boy going through puberty. I get, what is so fondly called, the pregnancy mask. Basically that means I get dark, and often red, discoloration/patches all over my skin. It’s kind of like when you go on a long flight and find that for about a week afterwards your skin is super dry from the recycled airplane air, but then it also breaks out…win-win! Oh, and BONUS, I can’t use topical acne treatments or washes. My best friend these days is my clarisonic, and a few masks and products that I’ll go into more detail about another time. In the last few years (pretty much when I had my daughter) I started noticing fine lines and dark circles around my under eye area, specifically near my tear duct, causing my concealer to crease. I had been testing a million and one products that claim to reduce fine lines, and prevent further aging, but few have been worth repurchasing. Then my sweet friend Bethann (who is such a babe, so I’d use anything she does) told me she used the Midnight Recovery Eye Cream and was seeing results, and I was onboard immediately. Both the midnight recovery products have been amazing, and definitely worth repurchasing in the future. The combination of the M.R. eye cream + the creamy avocado eye cream have completely rehydrated my under eye area and plumped the skin, reducing the visible signs of aging. I noticed a change in the texture of my under eye area after just a few days, and really saw a decrease in my concealer creasing, and dark circles after a few weeks. I use the avocado eye cream day and night, but I wouldn’t recommend that for everyone, especially if you have oily skin as it is very rich and creamy. The M.R. facial serum has the best spa-like smell, and the oil absorbs into my skin almost instantly without leaving an oily residue. What I love most about this serum is that it has dramatically reduces the time that acne and post-acne blemishes/scars linger. It’s also helping to even out the red and dark patchy areas on my face from my crazy raging hormones. I use this immediately after cleansing my face in the evening using my clarisonic, and if my skin feels like it could use even more moisture I’ll apply a night cream over the top after the serum soaks in. Quality skincare is always an investment, but I feel like all 3 products have lived up to what they claim to do, and will last me quite a long time. Have any of you tried these products? 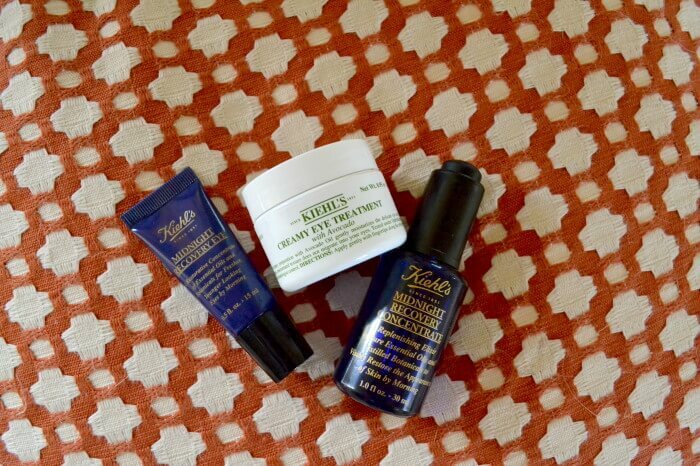 Are there other Kiehl’s products that you recommend?